Mudrooms are perfect for storing away the family’s shoes and coats. They also present a great opportunity to welcome people to your home as soon as they walk through the door. A well-designed mudroom can keep you and your family organized and efficient. Our mudrooms can be customized to best fit your needs and daily schedule. For example, do you find yourself checking your reflection in the mirror before heading out the door? We can install mirrors of all sizes to best accommodate the dimensions of your mudroom. Pet owners can also benefit from our customized mudrooms through our convenient dog washing stations. Custom closets also serve a purpose in your home by providing valuable storage for all your belongings. Need extra space to store boxes full of precious family memories or to tuck away seasonal clothes? No problem. At Visionary Cabinetry and Design, we evaluate the interior spaces in your home to determine the best placement for your custom closet. 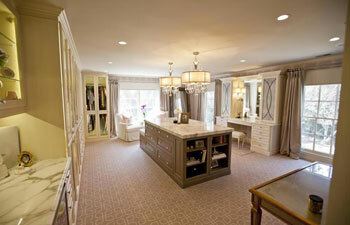 Our custom closets are also perfect for a luxurious walk-in closet. 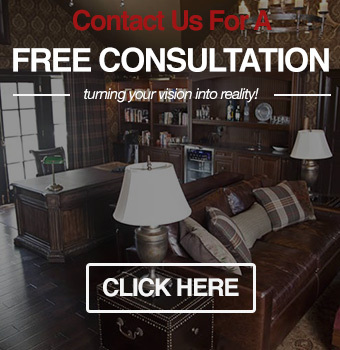 Our Metro Detroit design consultants are aware of both the latest trends and traditional styles to accommodate your design preferences.